Mr. & Mrs. O: January Oki Pies! I recently joined a "Foodie" club, for lack of a better word. 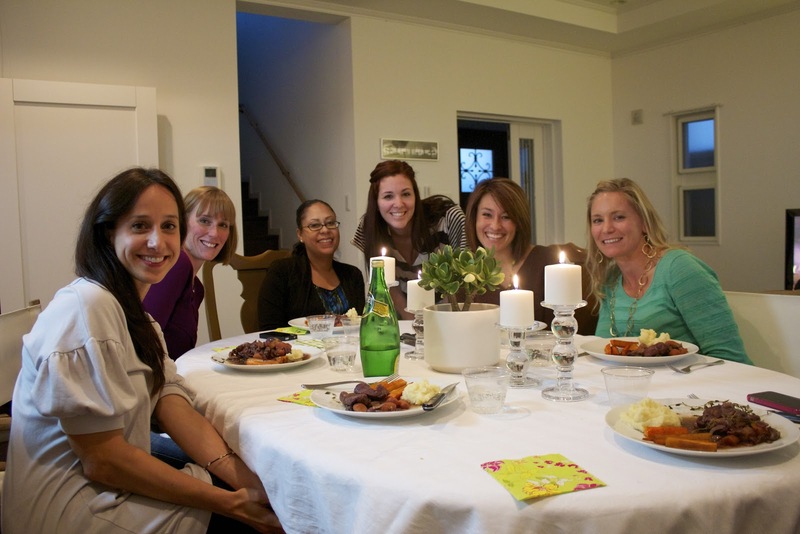 Basically, we get together once a month and eat delicious food! The host of the month picks a theme and all of the menu items. Then, each person attending picks an item from the menu and prepares it for the group. We end up with a variety of prepared dishes of awesomeness. This month's theme was French. 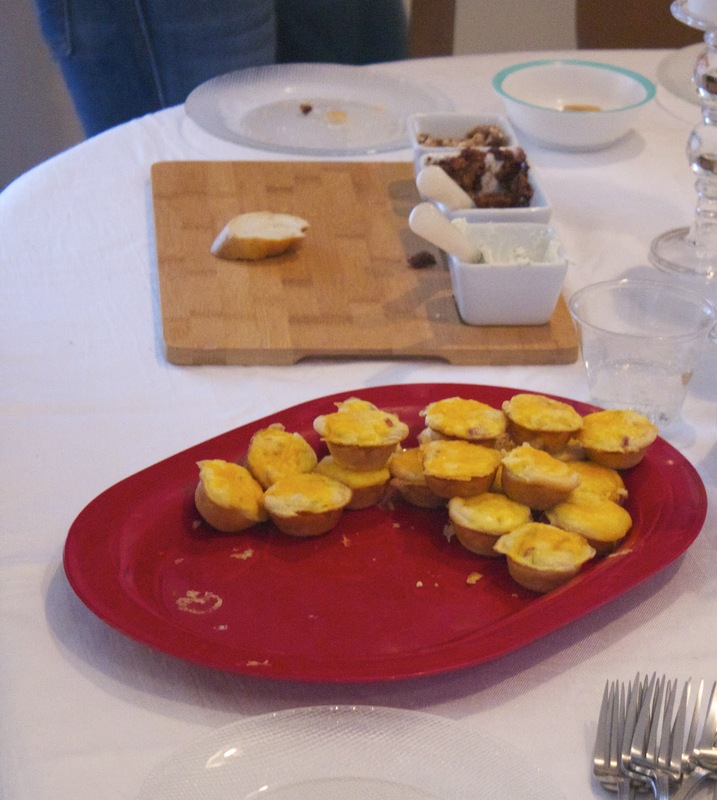 Cristine, the host, prepared Coq Au Vin and had sparkling water with lemon for us. Another cool thing about the group is the main dish is prepared Food Network style, right in front of us. 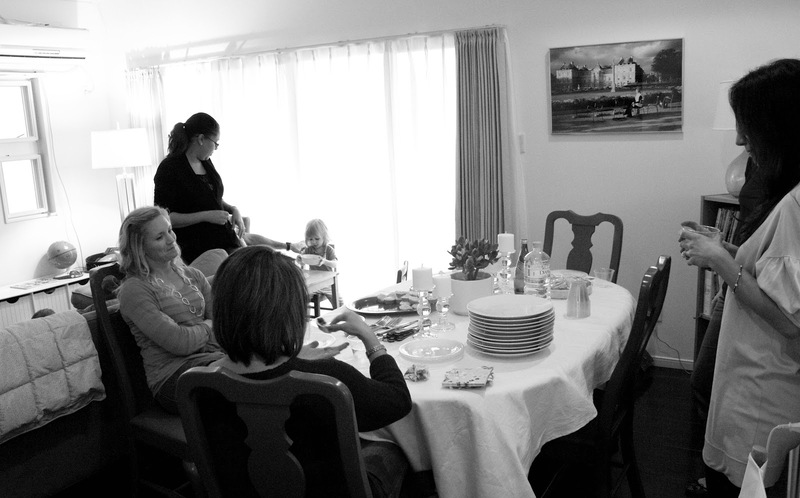 Cristine gave us a tutorial of all the steps it takes to make the dish firsthand. The picture above is sad. I forgot (aka got distracted by food) to take pictures of them in all of their glory. The far appetizer is mine, Olive and Apricot Tapenade with a goat cheese spread on toasted baguettes. The closest appetizer are mini cheese and onion quiches. 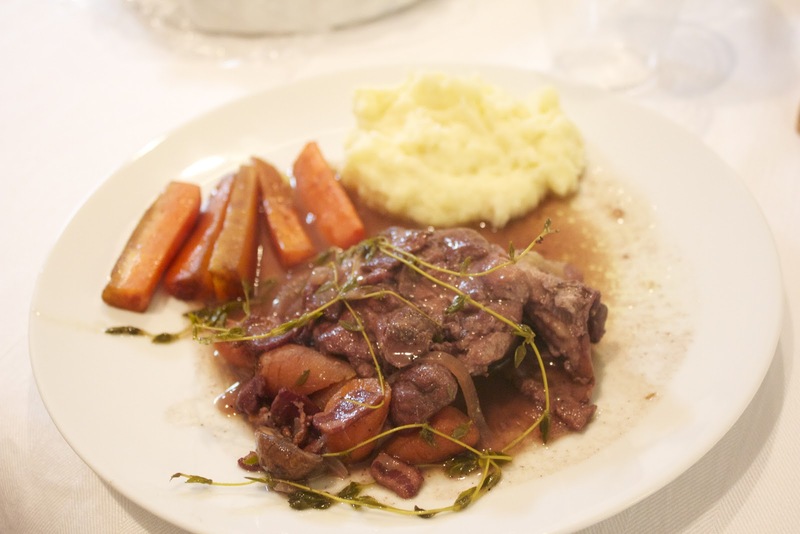 The two sides that accompanied the Coq Au Vin were roasted garlic mashed potatoes and balsamic roasted mini carrots. Mmm mmm mmm! So delish! 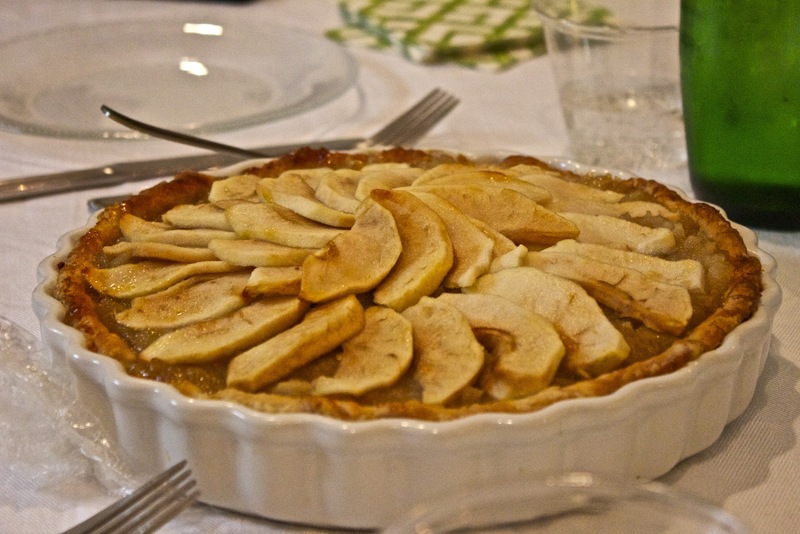 Last, but certainly not least, we had Apple Tart for dessert. One of the slices was cut a little too big for the other ladies, but I took it upon myself to eat it. I'm not upset about it! I had a great time and even got to hang out with a sweet puppy. 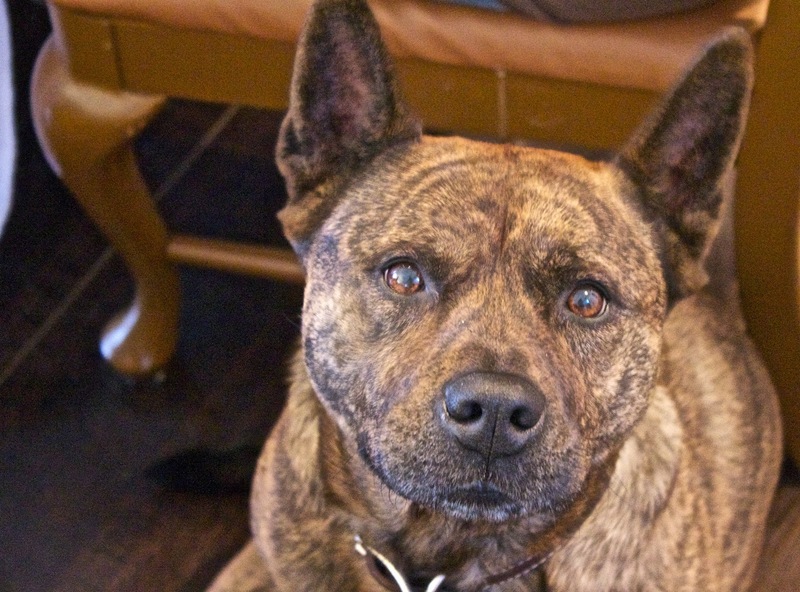 Phoebe is such a cute dog, I couldn't resist a taking a picture! Combine water and apricots in saucepan. Bring to a boil, cook until tender & liquid reduces. Combine with all other ingredients. If you prefer it "chunky" you mix everything, as is. I chose to add it to a food processor and make it more like a spread. Season with salt & pepper. Cover and refrigerate for at least 4 hours. Spread a layer of cheese on a baguette and add the tapenade on top. I recommend whipping the goat cheese or adding a little cream cheese to it to make it more spreadable.